I finally decided to buy myself a quality keyboard at home (and work). I guess this technically isn’t the first, but aside from the Razer keyboard that I had which died, I’ve had all pretty ‘meh’ keyboards over the years. Or at least they were ‘meh’ in terms of keystroke and key technology. 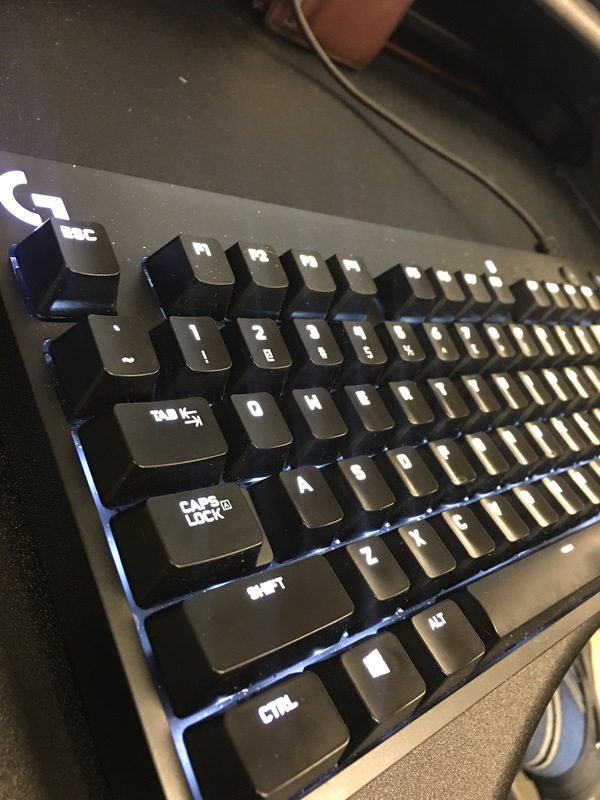 Today I went by Best Buy and picked up a Logitech G610 Orion Red keyboard. It’s backlit and has your usual media control keys but what makes it special is that it has mechanical switches. Yes, that’s right, it has Cherry MX Red switches hiding under the keys. I can’t say that I’ve typed for a long period of time on a mechanical keyboard as all my old keyboards were non-mechanical.